Life has been super busy here in the last few weeks and yesterday I woke up and said SLOW DOWN. I was exhausted. I dropped the kids at their school bus then I came back upstairs, put my pyjamas back on (don’t judge me haha) and was too awake to go back to bed, so I wandered into the craft room. I needed to start and finish something. Anything, in one day. 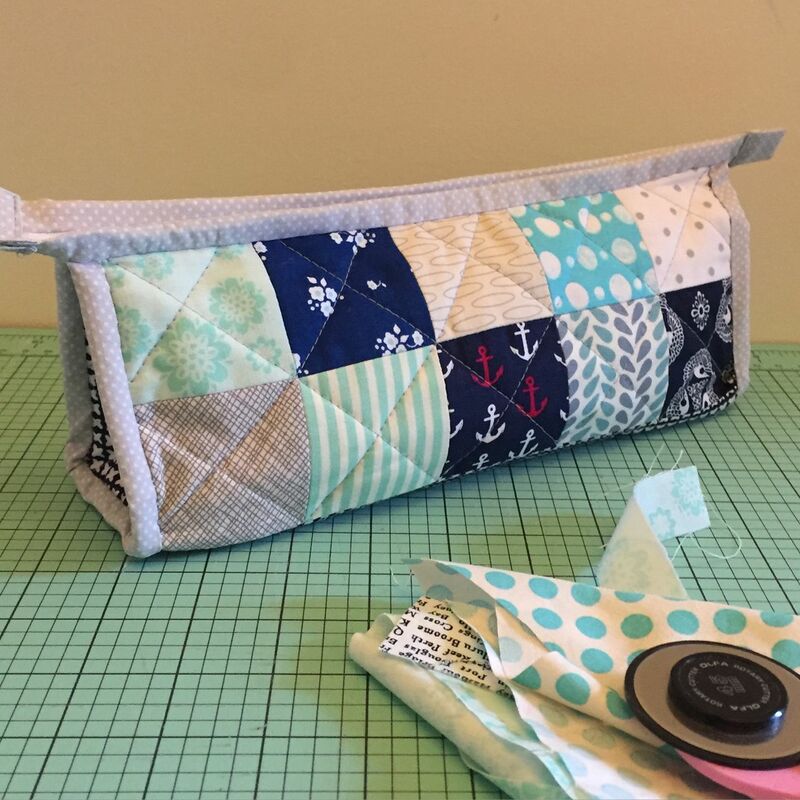 I found this triangle pouch tutorial on pinterest and decided to work until it was done. First up, fabric selection. I’m loving blue at the moment. 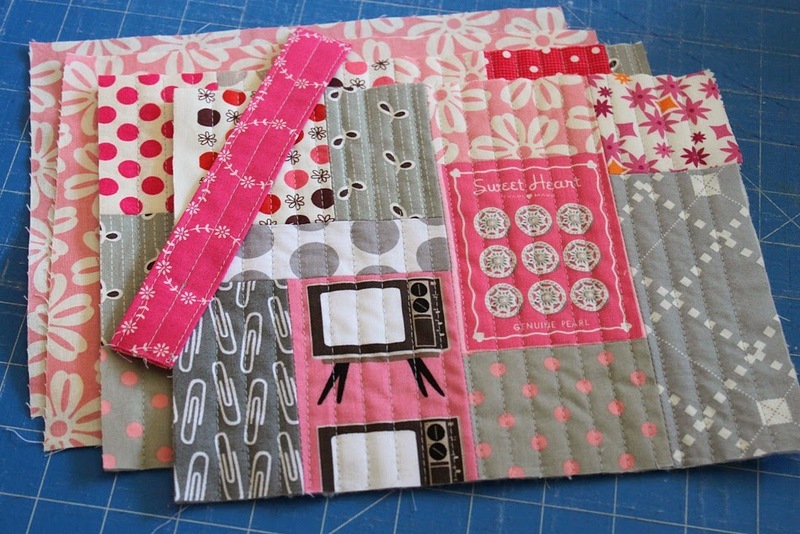 Most of this fabric came out of my scrap basket – each square is 2.5″. I love that Australian text print, I suspect I’ll have to source more. 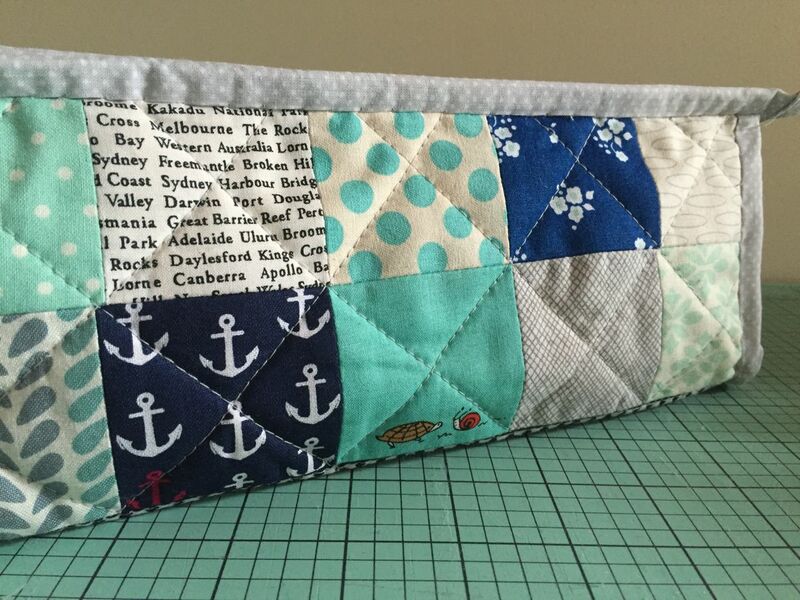 There were a couple of tricky elements to this project – mainly the bias binding. Getting around those edges at each end of the pouch was honestly quite frustrating. 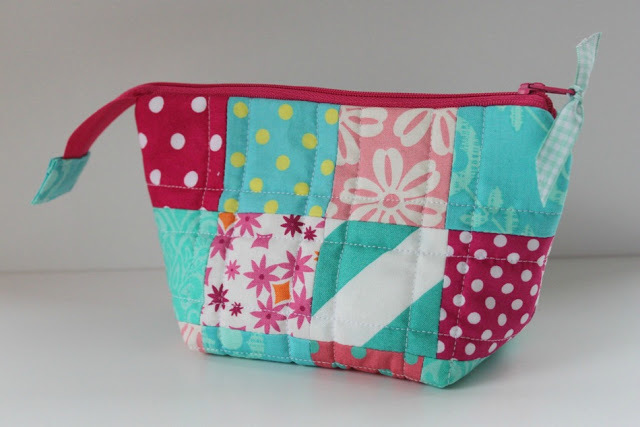 I spent some quality time with the seam ripper. 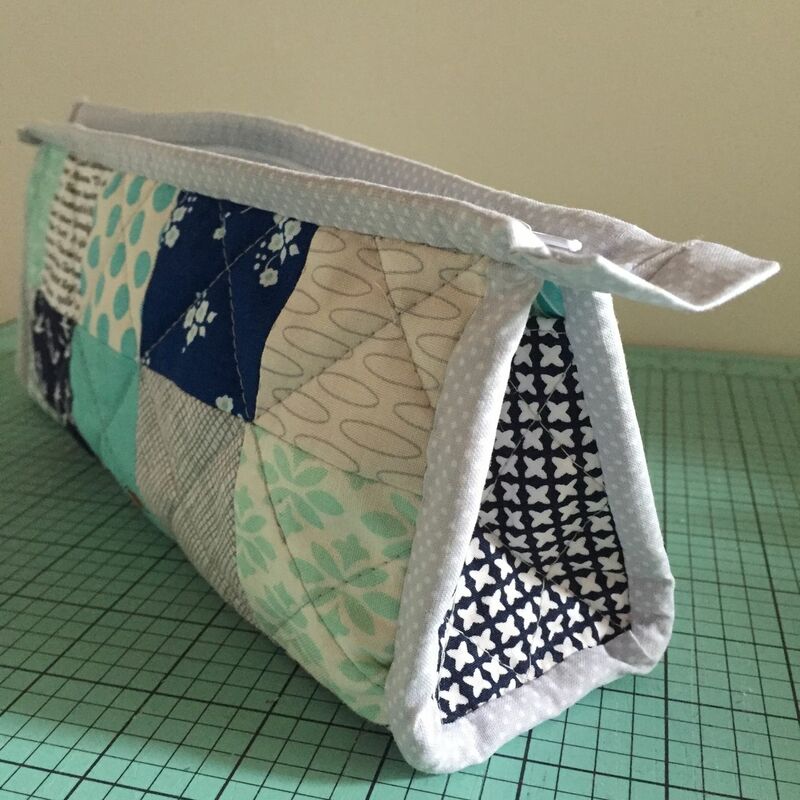 No fault of the tutorial – I’m just not very skilled with binding, especially on smaller sized projects. I also chose to use a fabric for the binding that I suspect had some polyester in it. It was quite stiff to start with and after pressing it was not as easy to manage as a pure cotton quilting fabric. 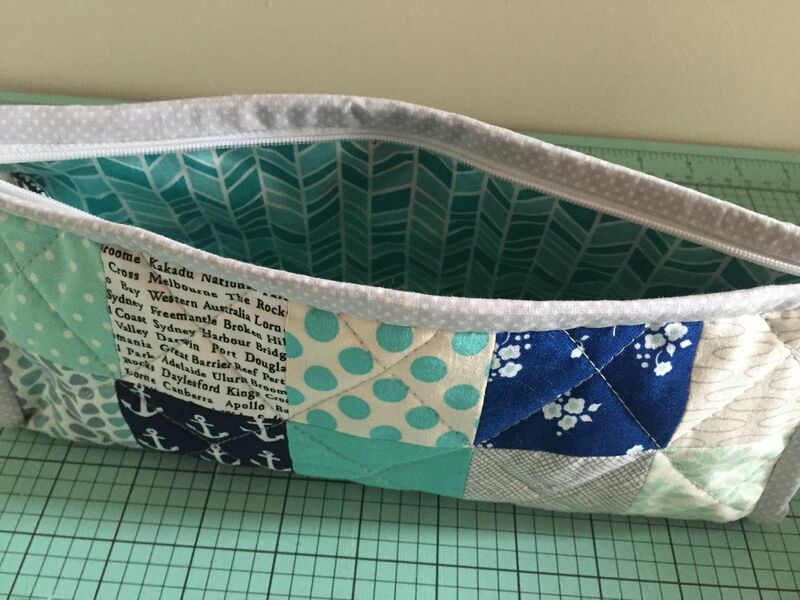 I lined the interior with a pretty aqua herringbone print, I have tonnes of it left over after backing a quilt last year and it just keeps popping up in all my projects! So versatile and a great colour. It feels good to get a finished project under my belt after such a long hiatus! Now back to Pinterest (follow me here!) for inspiration for the next one. 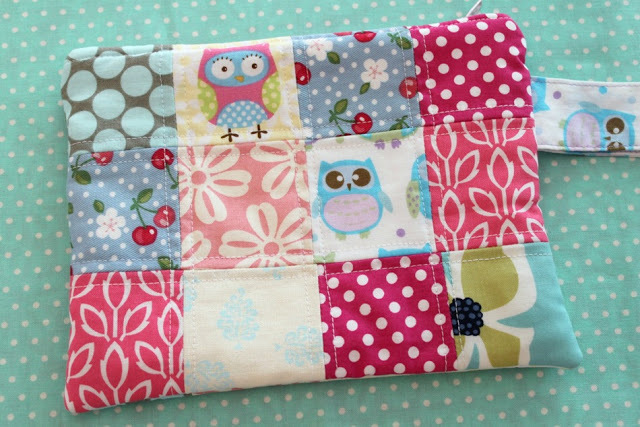 Beautiful, Ros, both the design and the combination of fabrics. I’ll have to check out that tutorial. Sewing just because I like this, is the most relaxing type of sewing. So true – no pressure or deadlines! It’s a long tutorial, but worth a look. Her photos are very detailed. Love that little pouch, Ros! Blues are my favorite and pouches like this come in so handy. Good for you for taking some time to just make something for your own simple pleasure. Take care! It really is! I thought by now I’d feel settled but I think I have to reassess and just think of it as a new normal. 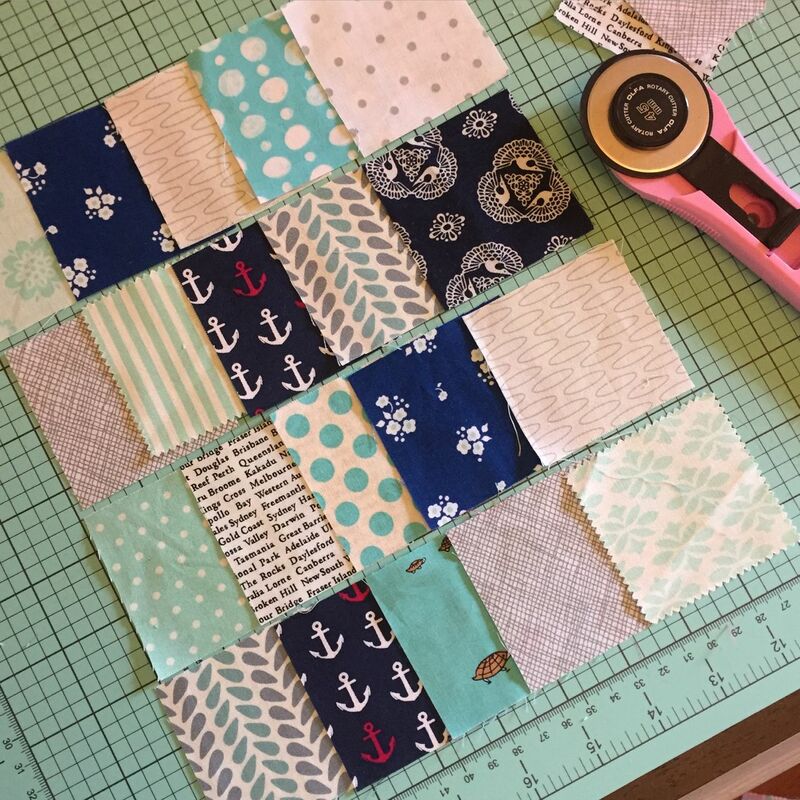 nice project!i was searching for pants pattern and then found your articleQuick & Easy Kids Pants – Tutorial,it was great help for me to finish my project! how is your life in Guangzhou?i am in middle part of China, moving to a new environment is always chanllenge and need time to get adapted,wish you good luck!